Mercedes is targeting the mid-sized pickup at wealthy clients who like quad biking and sailing. 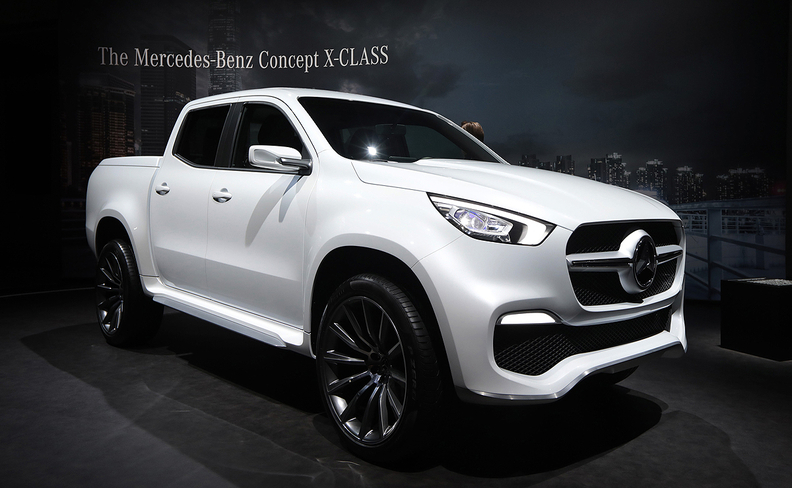 JOHANNESBURG -- Mercedes-Benz, reeling from a massive recall over concerns about diesel emissions, is stretching its refined image with its first ever pickup truck, betting that upscale car buyers are ready for an open-bed hauler with leather seats, oak trim and Autobahn handling. 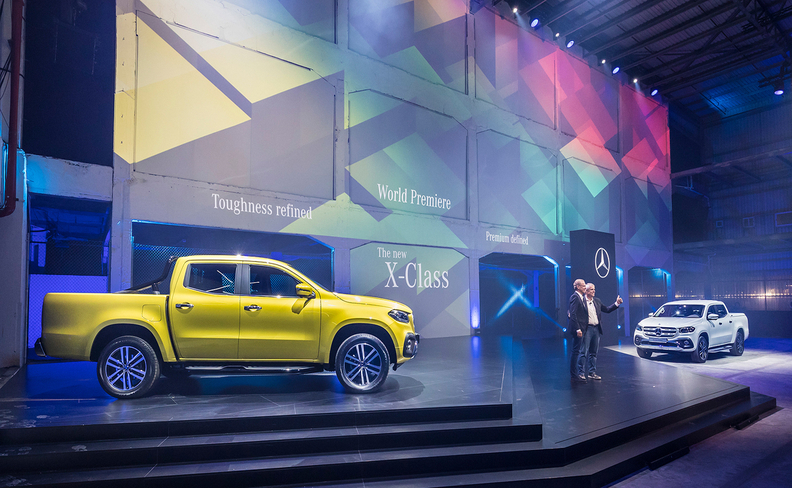 The X-class, priced from 37,300 euros ($43,200) in Germany, will hit dealerships in the brand’s home country starting in November and will then be rolled out to South Africa, Australia and New Zealand in 2018 and Latin America the following year. The model will be available initially with two diesel options as well as a gasoline engine. The top-of-the-line V6 diesel will be available from mid-2018. Mercedes is targeting the mid-sized pickup at wealthy clients who like quad biking and sailing. Taking on a new segment far removed from opulent models like the S-class sedan shows how far the world’s biggest maker of luxury vehicles is prepared to go to capture new sales. For now, it plans to stay clear of the U.S.’s competitive truck market, dominated by utilitarian vehicles like the Ford F-150. The X-class gives Mercedes an offering that rivals BMW and Audi will unlikely match any time soon. Daimler anticipates that demand for mid-sized trucks will grow by 43 percent over the next decade to around 3.2 million units. While that might be attractive, moving into new segments can be a risk, especially for a brand that trades on its image for elegance and performance. Luxury pickups also have little track record of success, as General Motors and Ford found when sales for the Cadillac Escalade EXT and Lincoln Blackwood failed to take off. The vehicle, which cost “a high three-digit million euro sum” to develop, will be produced as part of Daimler’s cooperation with the Renault-Nissan alliance. Vehicles for Europe will be assembled at a Nissan plant in Barcelona, while models for Latin America will be built at a Renault factory in Cordoba, Argentina.